This is also singularly great. 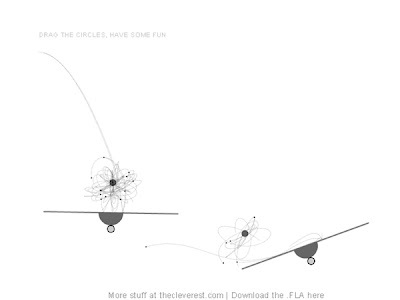 You can move the circles around, and you can move and tilt the seesaws to affect the flow of dots. It's best if I don't tell you what does what, maybe you want your dots to do something different. I like trapping the dots in orbit around the circles, and then setting them free. And then zooming out and seeing myself as trapped! And then posting it here and trapping others!